When it comes to football, not many places do it quite like the state of Georgia. From the little tykes to the big leagues, the athletes here are superior to those found in other states. Georgia’s population is around 10 million, which ranks 10th in the country. Despite being dwarfed by Texas and California,Georgia produces a high number of college athletes for its size. According to SB Nation, from 2013 to 2017 Georgia produced 141 “elite” blue chip prospects which makes up for about 8.5 percent of elite prospects in the country. In 2017, Georgia produced 33 blue chip recruits, and California, which is more than double the size of Georgia, produced 35. So what is it about Georgia and high school football that lends this success? Two words: coaching and resources. Access to high-level coaching and resources are leading to better players, but another area that’s helping out Georgia athletes is their quick development. Players begin training and playing at a very early age in comparison to 20 years ago. Trainer and East Metro Steelers football coach Derek Benson works with players beginning at the age of seven. Because of this, he’s able to see the kids’ development firsthand. Benson once played football at Eastern Michigan and has worked with young athletes in many states, but what he’s seen in the state of Georgia is unmatched. Additionally, most young athletes in Georgia play two sports, which is what coaches prefer when recruiting. Players who can do more are highly valued because of their versatile skill sets. “Coaches likes athletes who run track, or that play multiple sports, but preferably track because it helps gives them an idea of how athletic you are,” Benson said. High school football sideline reporter Brandon Joseph has been reporting on high school football for five years now, but he has seen Georgia players dominate on the field more than their contemporaries in other states. “I think Georgia is the best, and if they’re not the best they are second best, probably to Texas,” Joseph said. The competition levels still vary within the state. 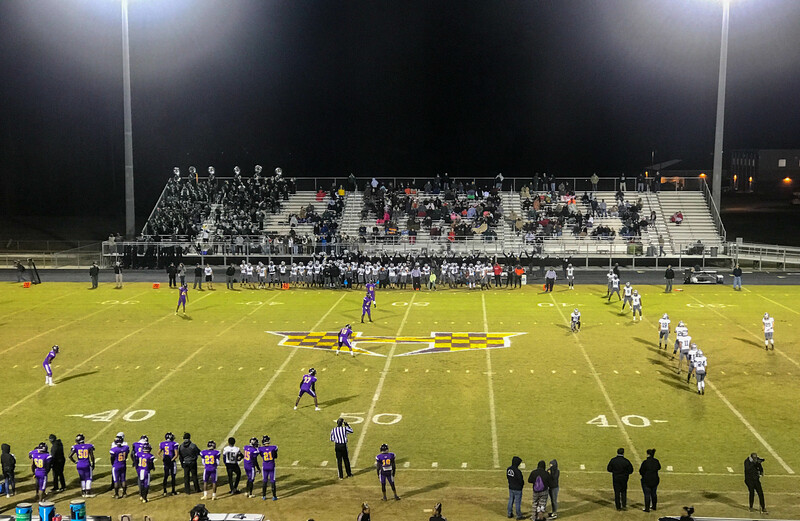 Teams in south Georgia are oftentimes better than the schools in Atlanta because of differences in mentality. A lot of the players who live south of Macon, Georgia play with more of a chip on their shoulder because playing good football is a way of making it out of their hometowns. They’re also more technically sound in most areas of the game. “Their players in the southern part of the state are a lot more football savvy. They take on the game different,” Benson said. They may differ in terms of skill level, but regardless, each region in Georgia has talented players, and it gives home schools like Georgia State, Georgia, Georgia Southern, Georgia Tech and Kennesaw State a recruiting advantage. With riches of talent in these schools’ backyards, their recruiters don’t feel pressured to leave the state and can instead field the majority of their teams with players just hours away. For a lot of players, there is a sense of pride to stay home and play at a university like Georgia because their parents went there and they want to carry on the family legacy. But there’s a bit of a twist now because every game can be streamed via the internet. That adds another obstacle to the list that schools in Georgia have to battle. Coaches from out-of-state schools such as Clemson have been able to successfully recruit Georgia-grown players because their brand is more visible and enticing to athletes. There is no doubt that Georgia produces some of the best college talents, but those same players are making it in the NFL. In 2016, 97 NFL players were from Georgia, and that’s an increase from earlier numbers. With the recent additions of stars like Alvin Kamara, Deshaun Watson and others, Georgia’s national football influence is certainly growing.